Click here to see the complete information about Collectable Hallmarked Silver Thimble THE SPA 10207 plus a complete set of Pictures. 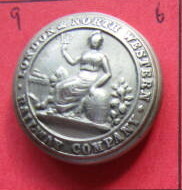 Click here to see the complete information about Collectable Vintage Railway Button British11672 plus a complete set of Pictures. Click here to see the complete information about Collectable Vintage Railway Button 11678 plus a complete set of Pictures. Click here to see the complete information about Collectable Vintage Railway Button 11681 plus a complete set of Pictures. Click here to see the complete information about Collectable Vintage Railway Button 11676 plus a complete set of Pictures. Click here to see the complete information about Collectable Vintage Button 11680 plus a complete set of Pictures. Click here to see the complete information about Collectable Vintage Railway Button 11677 plus a complete set of Pictures. Click here to see the complete information about Collectable Vintage Railway Button 10070 plus a complete set of Pictures. 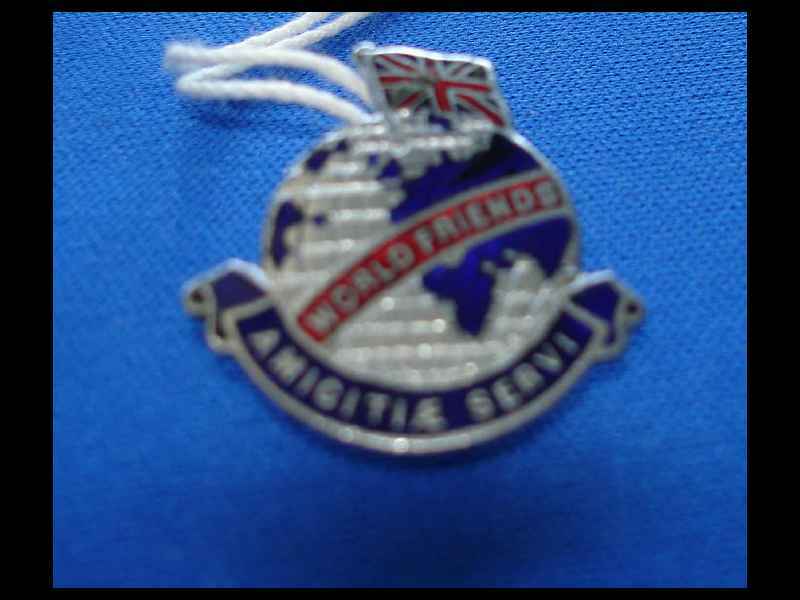 Click here to see the complete information about Collectable British Army Shoulder Titles 10403 plus a complete set of Pictures. Click here to see the complete information about Collectable Vintage Unkown Button 11651 plus a complete set of Pictures. Click here to see the complete information about Collectable Vintage Railway Button 10023 plus a complete set of Pictures. Click here to see the complete information about Collectable VintageTranspot Button 11653 plus a complete set of Pictures. Click here to see the complete information about Collectable Vintage Railway Button 10069 plus a complete set of Pictures. 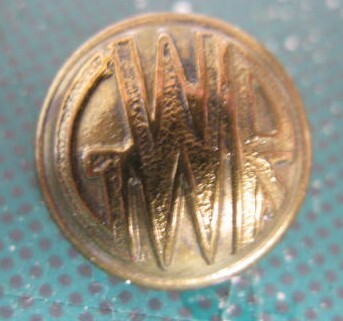 Click here to see the complete information about Collectable Vintage Railway Button 10077 plus a complete set of Pictures. Click here to see the complete information about Collectable Vintage Railway Button 11645 plus a complete set of Pictures. Click here to see the complete information about Collectable Vintage Railway Button 11646 plus a complete set of Pictures. Click here to see the complete information about Collectable Vintage Railway Button 11647 plus a complete set of Pictures. Click here to see the complete information about Collectable British Army Shoulder Title 10338 plus a complete set of Pictures. Click here to see the complete information about Collectable Vintage Tramway Button 8528 plus a complete set of Pictures. Click here to see the complete information about Collectable Vintage Railway Button 10045 plus a complete set of Pictures. Click here to see the complete information about Collectable Vintage Button Derby Borough 9039 plus a complete set of Pictures. 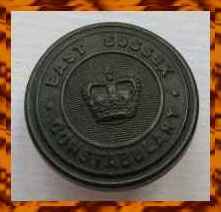 Click here to see the complete information about Collectable Vintage Railway Button 10005 plus a complete set of Pictures. Click here to see the complete information about Collectable Vintage Railway Button 10044 plus a complete set of Pictures. Click here to see the complete information about Collectable Vintage Bus Button 10890 plus a complete set of Pictures. 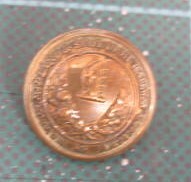 Click here to see the complete information about Collectable Vintage Bus Button 10889 plus a complete set of Pictures. Click here to see the complete information about Collectable Vintage Transport Button 10885 plus a complete set of Pictures. Click here to see the complete information about Collectable Vintage Railway Button 10034 plus a complete set of Pictures. 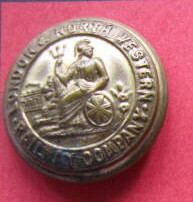 Click here to see the complete information about Collectable Vintage Railway Button 10028 plus a complete set of Pictures. Click here to see the complete information about Item #11648 plus a complete set of Pictures. Click here to see the complete information about Collectable Vintage Railway Button 10036 plus a complete set of Pictures. Click here to see the complete information about Collectable Vintage Canadian Railway Button 10881 plus a complete set of Pictures. Click here to see the complete information about Collectable Vintage Railway Button 11660 plus a complete set of Pictures. Click here to see the complete information about Collectable Vintage Railway Button 10027 plus a complete set of Pictures. Click here to see the complete information about Collectable Vintage Button 11679 plus a complete set of Pictures. Click here to see the complete information about Collectable Vintage Railway Button 11661 plus a complete set of Pictures. Click here to see the complete information about Collectable Vintage Railway Button #11658 plus a complete set of Pictures. Click here to see the complete information about Collectable Vintage Railway Button 11659 plus a complete set of Pictures. Click here to see the complete information about Collectable Vintage Railway Button 11657 plus a complete set of Pictures. Click here to see the complete information about Naval Button RNS Three Anchors Item #9942 plus a complete set of Pictures. Click here to see the complete information about Collectable Vintage Jersey Police Button 8521 plus a complete set of Pictures. Click here to see the complete information about Collectable Vintage Red Cross Button 8531 plus a complete set of Pictures. Click here to see the complete information about Collectable Vintage Fire Brigade Button 8540 plus a complete set of Pictures. Click here to see the complete information about Collectable Vintage Police Button8520 plus a complete set of Pictures. Click here to see the complete information about Collectable Vintage Button Kent Police 8355 plus a complete set of Pictures. Click here to see the complete information about Collectable Vintage Button Australian Red Cross 8093 plus a complete set of Pictures. 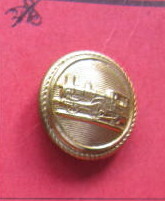 Click here to see the complete information about Collectable Vintage Railway Button 10007 plus a complete set of Pictures. Click here to see the complete information about Collectable Vintage Button Warwick Fire Brigade 8256 plus a complete set of Pictures. Click here to see the complete information about Collectable Vintage Cumberland Hotel Button 8617 plus a complete set of Pictures. Click here to see the complete information about Collectable Vintage Transport Button 8529 plus a complete set of Pictures. 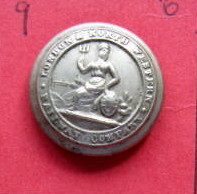 Click here to see the complete information about Collectable Vintage Nursing England & Wales Button 9607 plus a complete set of Pictures. Click here to see the complete information about Collectable Vintage Cumberland Hotel Button 8834 plus a complete set of Pictures. Click here to see the complete information about Collectable Vintage Railway Button 10006 plus a complete set of Pictures. Click here to see the complete information about Collectable Red Cross Buttons 9600 plus a complete set of Pictures. Click here to see the complete information about Collectable Vintage Railway Button 10003 plus a complete set of Pictures. Click here to see the complete information about Collectable Red Cross Button 9468 plus a complete set of Pictures. Click here to see the complete information about Collectable Vintage Canadian Railway Button 9197 plus a complete set of Pictures. Click here to see the complete information about Collectable Vintage Police Button10197 plus a complete set of Pictures. 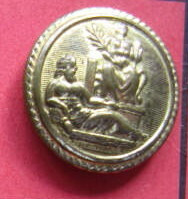 Click here to see the complete information about Collectable Vintage Button 10251 plus a complete set of Pictures. Click here to see the complete information about Collectable Vintage Railway Button Item #10113 plus a complete set of Pictures. Click here to see the complete information about Collectable Vintage Railway Button 10508 plus a complete set of Pictures. Click here to see the complete information about Collectable Vintage Railway Button Item #10114 plus a complete set of Pictures. Click here to see the complete information about Collectable Red Cross Button 10193 plus a complete set of Pictures. Click here to see the complete information about Collectable Vintage Button 11683 plus a complete set of Pictures. Click here to see the complete information about Collectable Vintage Railway Button 11565 plus a complete set of Pictures. Click here to see the complete information about Collectable Vintage Railway Button 11666 plus a complete set of Pictures. Click here to see the complete information about Collectable Vintage Railway Button 10031 plus a complete set of Pictures. Click here to see the complete information about Collectable Vintage Railway Button 11564 plus a complete set of Pictures. Click here to see the complete information about Collectable Vintage Railway Button 11563 plus a complete set of Pictures. Click here to see the complete information about Collectable Vintage Railway Button 11650 plus a complete set of Pictures. Click here to see the complete information about Collectable Vintage Transport Button#11652 plus a complete set of Pictures. Click here to see the complete information about Collectable Vintage Railway Button 11551 plus a complete set of Pictures. Click here to see the complete information about Collectable Vintage Canadian Railway Button 10883 plus a complete set of Pictures. Click here to see the complete information about Collectable Vintage Fire Brigade Button 8440 plus a complete set of Pictures. Click here to see the complete information about Collectable Vintage Button Trinity House 8519 plus a complete set of Pictures. 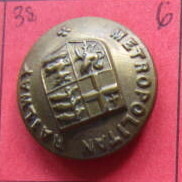 Click here to see the complete information about Collectable Vintage E.Sussex Police Button8523 plus a complete set of Pictures. Click here to see the complete information about Collectable Vintage Button7169 plus a complete set of Pictures. Click here to see the complete information about Collectable Vintage Button 7168 plus a complete set of Pictures. Click here to see the complete information about Collectable Vintage Railway Button 10008 plus a complete set of Pictures. Click here to see the complete information about Collectable Vintage Button 7162 plus a complete set of Pictures. 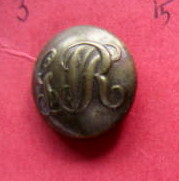 Click here to see the complete information about Collectable Vintage BR Button 8524 plus a complete set of Pictures. Click here to see the complete information about Collectable Vintage Transport Button 7688 plus a complete set of Pictures. Click here to see the complete information about Collectable Red Cross Buttons 9678 plus a complete set of Pictures. The NFS was created in August 1941 by the amalgamation of the wartime national Auxiliary Fire Service (AFS) and the local authority fire brigades (about 1,600 of them). It existed until 1948, when it was again split by the Fire Services Act 1947, with fire services reverting to local authority control, although this time there were far fewer brigades, with only one per county and county borough. Click here to see the complete information about Collectable Vintage Fire Service Button 8527 plus a complete set of Pictures. Click here to see the complete information about Collectable Vintage Railway Button LMS 9946 plus a complete set of Pictures. Click here to see the complete information about Collectable Vintage Police Button Button 9655 plus a complete set of Pictures. Click here to see the complete information about Collectable Vintage ARP Button 8545 plus a complete set of Pictures. Click here to see the complete information about Collectable Vintage Metal Button ARP 8533 plus a complete set of Pictures. Click here to see the complete information about Collectable Vintage Transport Button 8705 plus a complete set of Pictures. Click here to see the complete information about Collectable Vintage Railway Button 10503 plus a complete set of Pictures. Click here to see the complete information about Collectable Vintage Railway Button 10504 plus a complete set of Pictures. Click here to see the complete information about Collectable Vintage Railway Button 10505 plus a complete set of Pictures. 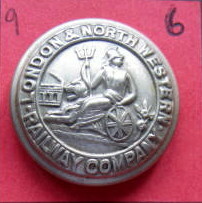 Click here to see the complete information about Collectable Vintage Railway Button 10507 plus a complete set of Pictures. Click here to see the complete information about Collectable Vintage FIRE BRIGADE Button 10371 plus a complete set of Pictures. Click here to see the complete information about Collectable Vintage Transort Button 10884 plus a complete set of Pictures. Click here to see the complete information about Collectable Vintage Fire Brigade Button 10372 plus a complete set of Pictures. Click here to see the complete information about Collectable Vintage Fire Brigade Button 10373 plus a complete set of Pictures. Click here to see the complete information about Collectable Vintage Railway Button 10501 plus a complete set of Pictures. 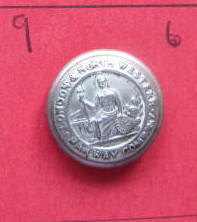 Click here to see the complete information about Collectable Vintage Railway Button 10502 plus a complete set of Pictures. Click here to see the complete information about Collectable Vintage Transport Button 11642 plus a complete set of Pictures. Click here to see the complete information about Collectable Vintage Railway Button 11562 plus a complete set of Pictures. Click here to see the complete information about Collectable Vintage Railway Button 11566 plus a complete set of Pictures. Click here to see the complete information about Collectable Vintage Fire Brigade Button 10370 plus a complete set of Pictures. Click here to see the complete information about Collectable Vintage Railway Button11643 plus a complete set of Pictures. Click here to see the complete information about Collectable Vintage Railway Button 11561 plus a complete set of Pictures. Click here to see the complete information about Collectable Vintage Canadian Railway Button 10888 plus a complete set of Pictures. Click here to see the complete information about Collectable Vintage Railway Button 11550 plus a complete set of Pictures. Click here to see the complete information about Collectable Vintage Railway Button 11552 plus a complete set of Pictures. Click here to see the complete information about Collectable Vintage Canadian Railway Button 10886 plus a complete set of Pictures. Click here to see the complete information about Collectable Vintage Unknown Button Item #10033 plus a complete set of Pictures. Click here to see the complete information about Collectable Vintage Fire Service Button 8544 plus a complete set of Pictures. 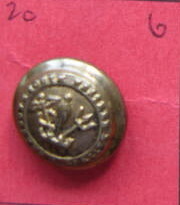 Click here to see the complete information about Collectable Vintage Derby Button 547 plus a complete set of Pictures. Click here to see the complete information about Collectable Vintage Railway Button 10369 plus a complete set of Pictures. 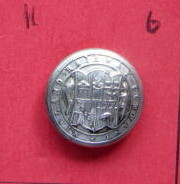 Click here to see the complete information about Collectable Vintage Button 8672 plus a complete set of Pictures. Click here to see the complete information about Collectable Vintage Fire Brigade Button 8442 plus a complete set of Pictures. Click here to see the complete information about Collectable Vintage Button 9067 plus a complete set of Pictures. Click here to see the complete information about Collectable Vintage Corporation Transport Button 8446 plus a complete set of Pictures. Click here to see the complete information about Collectable Vintage Metal Button ARP 7163 plus a complete set of Pictures. Click here to see the complete information about Collectable Vintage Police Button 9065 plus a complete set of Pictures. 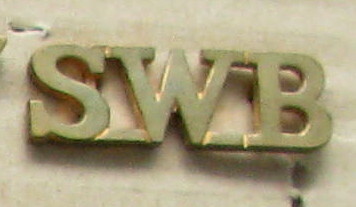 Click here to see the complete information about Collectable Vintage Fire Swervice Button 8662 plus a complete set of Pictures. Click here to see the complete information about Collectable Vintage Button 10250 plus a complete set of Pictures. 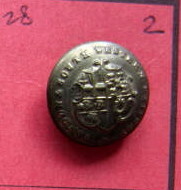 Click here to see the complete information about Unknown Button 10267 plus a complete set of Pictures. 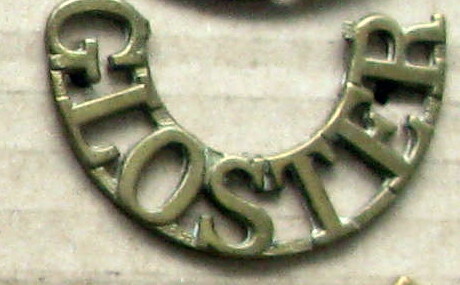 Click here to see the complete information about Collectable British Army Shoulder Title 10279 plus a complete set of Pictures. 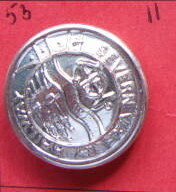 Click here to see the complete information about Collectable Vintage CWS Button 10191 plus a complete set of Pictures. Click here to see the complete information about Collectable Fire Service Button L&R F S 10266 plus a complete set of Pictures. 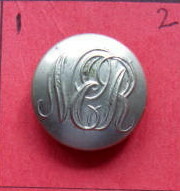 Click here to see the complete information about Collectable Vintage Railway Button BR 9954 plus a complete set of Pictures. Click here to see the complete information about Collectable Vintage Scooll Cadet Button 9672 plus a complete set of Pictures. 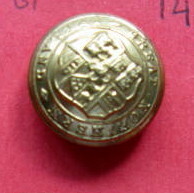 Click here to see the complete information about Collectable Brass Red Cross Button 9556 plus a complete set of Pictures. Click here to see the complete information about Collectable Vintage Railway Button BR 9951 plus a complete set of Pictures. Click here to see the complete information about Collectable Vintage Unknown Button Item #10194 plus a complete set of Pictures. Click here to see the complete information about Collectable Vintage Railway Button LNER 9950 plus a complete set of Pictures. 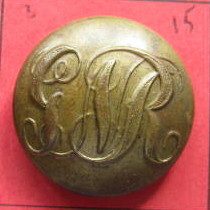 Marks: W. Dowler & Sons Birm. Click here to see the complete information about Collectable Vintage St Johns Ambulance Button 7496 plus a complete set of Pictures. 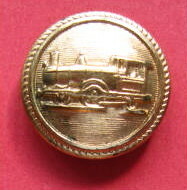 Click here to see the complete information about Collectable Vintage Transport Button #7687 plus a complete set of Pictures. 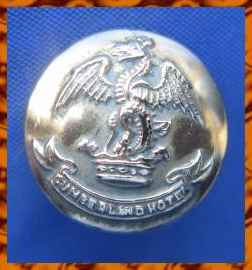 Click here to see the complete information about Collectable Vintage Civil Defence Button 9109 plus a complete set of Pictures.